Do your kids have an obsession and love with stuffies (as we call them)? Do your children like going to the movies? If you answered yes to both or either this post is for you. Stuffies (you know those cute plush animals and dolls that everyone buys them starting when they are a newborn and never stop) in our house are the bane of my existence. No I am joking but seriously I am always like how many stuffies does one kid need? The never play with them all, one day this one is their favourite and the next its a different one. Some have been gifted to them right from the day they were born in the hospital, some commemorate achievements (like potty training) or are from a vacation trip they loved and want to remember. So our house even though you may find more stuffies than I wish were in my house they have a memory, they are special to one of my kids so they have a place in our home. My kids also love going to the movies and now all 3 are (finally) to an age where they sit through the whole movie, its a lot of fun to go to the movies every once in awhile especially when there is a really good new movie to see. Have you seen the preview for the new movie Wonder Park? Wonder Park tells the story of a magnificent amusement park where the imagination of a wildly creative girl named June comes alive. One magical day, June is running through the woods to find her way home where she discovers an old rollercoaster car and climbs inside. She suddenly finds herself in Wonderland, an amusement park she had created in her mind and put aside. All of her rides and characters are brought to life but are falling into disarray without her. Now, with the help of her fun and lovable park characters, June will have to put the wonder back in Wonderland before it is lost forever. You will meet characters like Boomer the big blue teddy bear and Gus the beaver. It is a super cute movie that has some practical lessons woven into the story line. 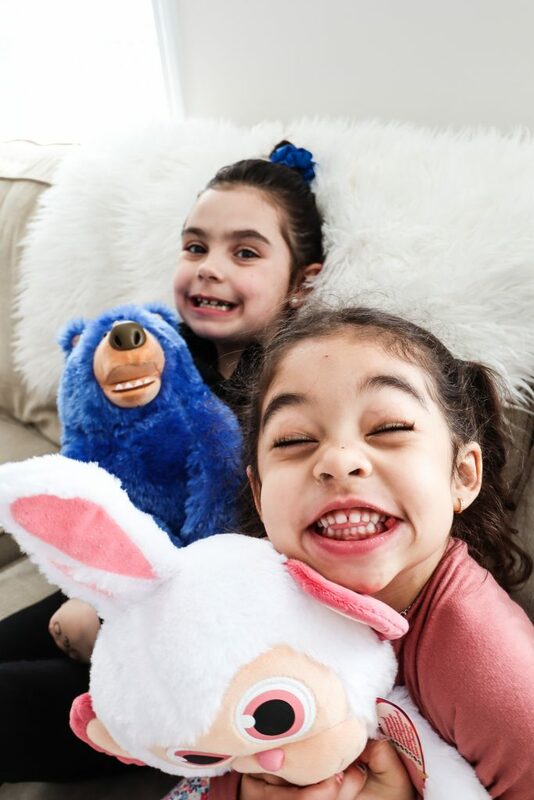 Our girls have been loving their plush toys from the movie. Boomer is so cute and snuggly everyone has been cuddling him and the baby thinks he’s hilarious. 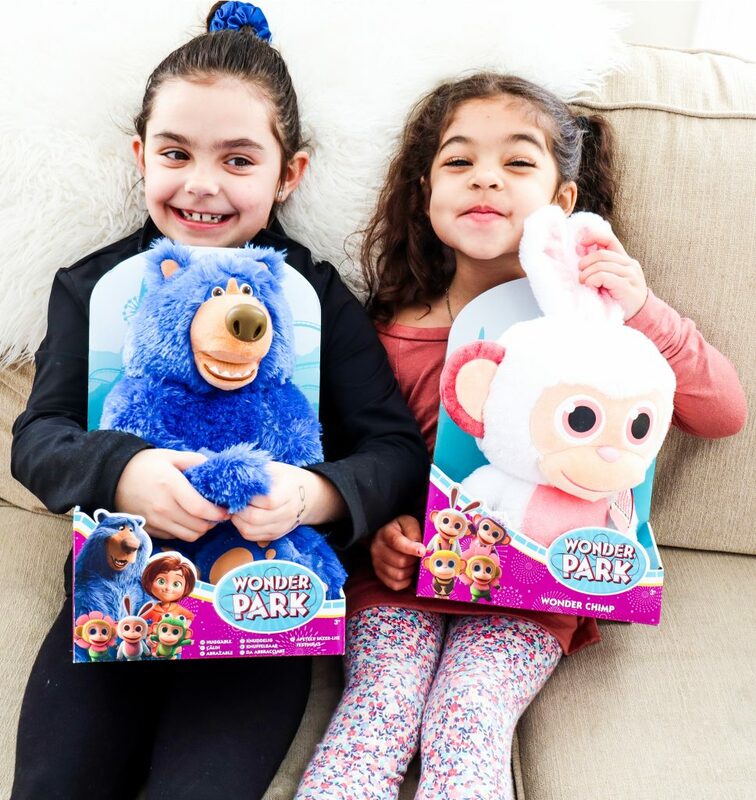 Naturally my girlie girl claimed the Wonder Chimp Plush Bunny for herself not only because its so cute and girly but the fact that it smells like cotton candy definitely added to that decision. 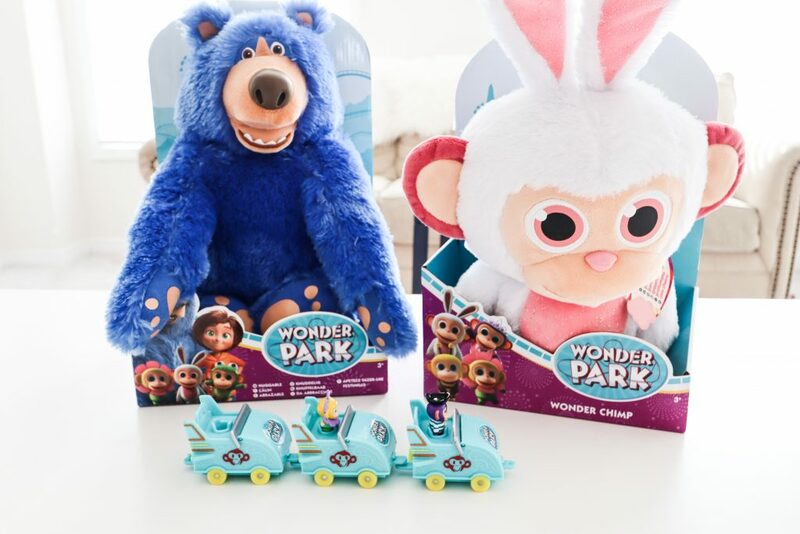 Funrise also came out with this super cute Wonder Chimp Collectibles that are super cute and fun for the kids to play with. 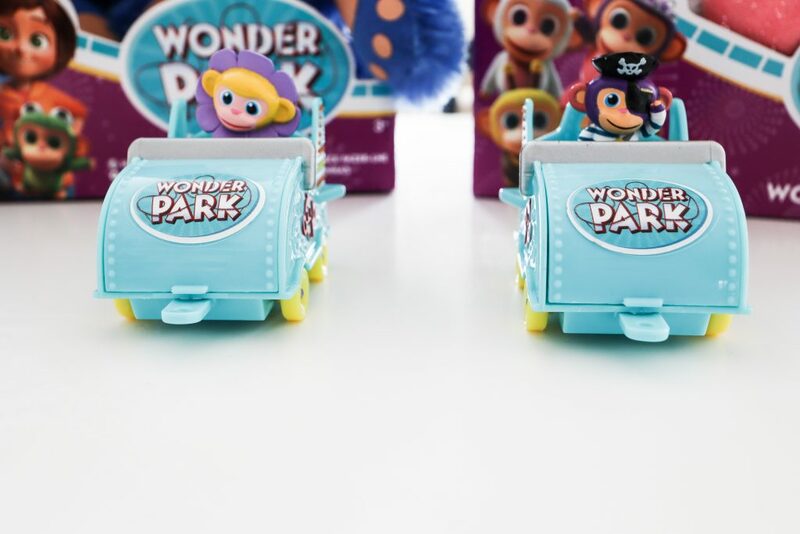 Their little cars can attach to each other and every roller coaster car has one of 30 Wonder Chimps inside so you can try and collect them all. If you would like to purchase any of these products you can do so at Toys R Us or Walmart.